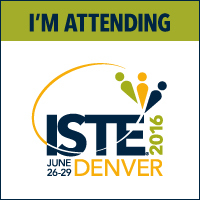 Tech Teacher Tidbits: ISTE 2016! 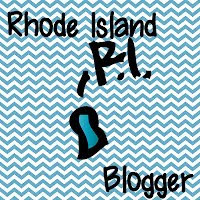 I'm super excited to be attending the ISTE conference once again. I went for the first time in 2014 when it was in Atlanta, GA. ISTE is by far the best conference I have ever attended...and the biggest. Someone told me there were about 20, 000 participants in 2014. I couldn't believe it but it didn't take long to figure out why it was so popular. This year, ISTE (which stands for International Society for Technology in Education) is being held in Denver, CO. I've never been there but I am very glad the conference is in June. :) To make it even better, my district has paid my registration fee this year - yay! It really can't get any better than that. I'm going to be there, too! Maybe I'll see you there! Have you ever been before? This is only my second time. As an ISTE virgin, it was amazing and overwhelming, exciting and exhausting - but completely worth every second!